Thanks so much for viewing our necklace! 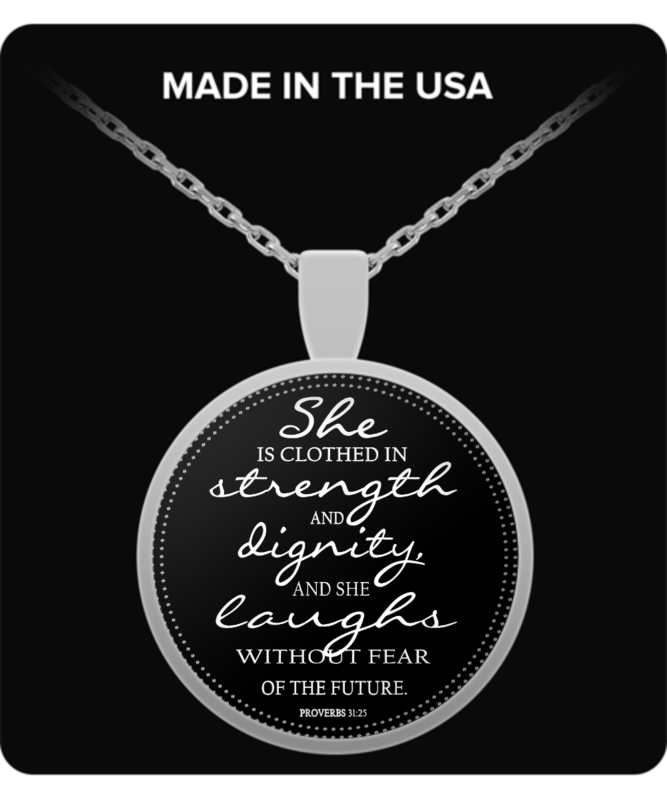 We created it for all incredible women of God simply so they could own and wear a visible reminder of the Proverbs 31:25 verse which is a reminder of Gods love, protection and promise for your life! Completely bespoke and not available in stores this beautiful necklace is hand-made to order so is truly unique! Made from the finest quality materials it looks stunning in the flesh, the pictures really do not do it justice! Click 'BUY IT NOW' now to get yours with at an incredible sale price! Hurry these are going fast! I love this necklace! I love the design, the fonts and the simplicity. ❤️ The customer service is exceptional with communication along each step of the way. It was packaged inside a cute little bag and packed securely for shipment.